What should you include? How long should it be? How can you help your resume stand out from others? Homework to create a great marketing document … all about you! Described as “energetic and quick to smile” by peers and friends, Michele Newhouse empowers others to define and reach their goals by delivering education and information through a variety of formats including over 2,000 training events. With a degree in Finance, Michele currently serves others through her role as a full-time Communications & Education Specialist serving 2 organizations ... Richard P. Slaughter Associates, Inc. (wealth management services) and RPS Retirement Plan Advisors. 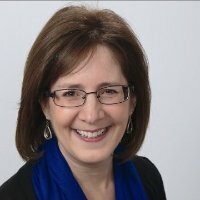 As time allows, Michele also devotes occasional evenings and weekends to helping professionals with career transition and career management … drawing on 12 years of experience as a Career Consultant for a global leader in outplacement services.